Cabinets For Danny is a full service cabinet, countertop, & fixture designer, manufacturer. 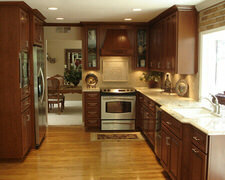 Cabinets For Danny is a leader in kitchen renovations. 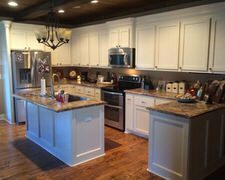 We take pride in providing the best quality granite stone, kitchen cabinet designs & installations and kitchen renovations in the Alabama and surrounding area. We offer the highest quality stone and materials and the best prices. House packages, house designs, building products such as floor coverings, doors, windows, lumber and plywood, cabinets, paneling, mouldings, stairs, wood stoves, fireplaces, roofing, decks, columns, accents, and exterior cladding.